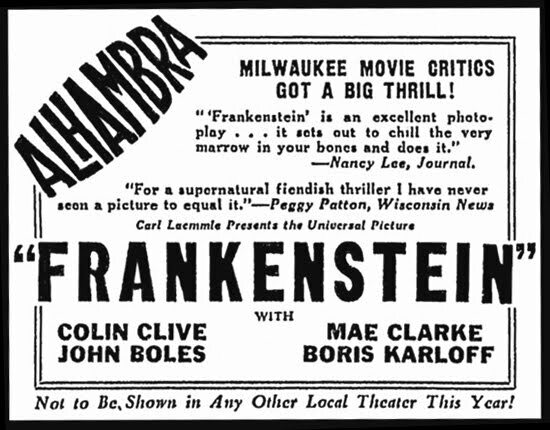 In November 1931, as James Whale’s Frankenstein rolled out across America, its early box-office-busting run at Milwaukee’s Alhambra proved an effective forecast of the film’s national success. 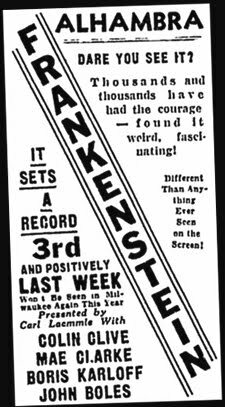 The theater’s newspaper ads appearing in The Milwaukee Sentinel and The Milwaukee Journal not only ballyhooed the film with vivid pulp prose — “A Daring Experiment into the Soul Chilling Unknown!”, they also celebrated its success — “Crowds! Crowds! Crowds… Acclaimed by thousands!... It Holds the Season’s Record!”. 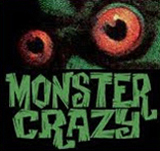 Opening on Friday, November 20, the film had been teased for days. “To Be Revealed At Last!” ads read, and “The Like Has Never Been Known Before!”. 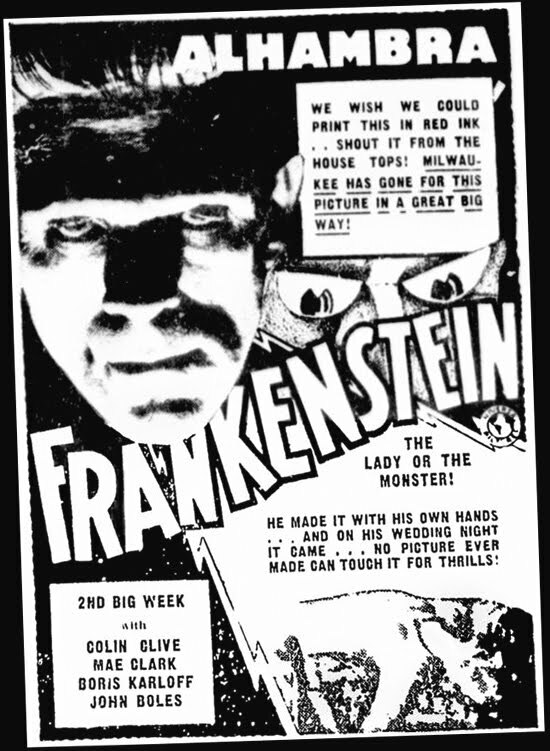 By Tuesday the 24th, after blockbusting weekend business, ads were boasting: “The whole town is talking… Yet words cannot describe soul-chilling, blood-curdling Frankenstein!” On the 26th, local reviews were quoted, “Milwaukee movie critics got a big thrill!”. On December first, Alhambra ads warned, “Only 3 days remain in which to see this wonder picture!”. 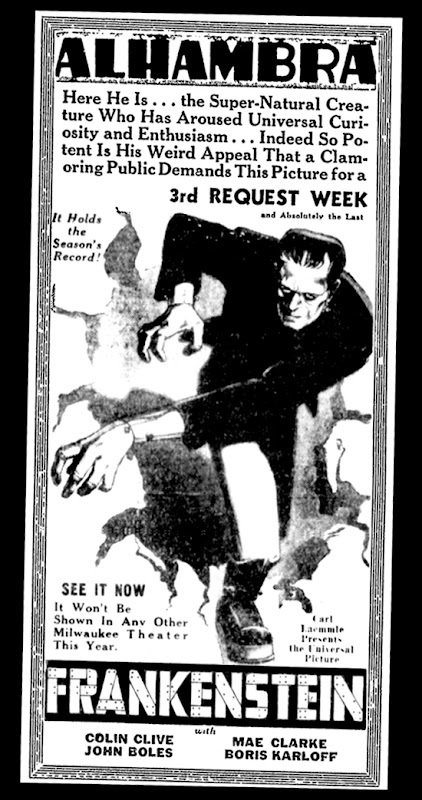 Two days later, a new ad announced, “Wide-spread enthusiasm carries this phenomenal picture into a 3rd Gala Week… Public fancy is completely intrigued… See it now!” Then, on December 4, a large ad showed The Monster in full stride, bursting through the page: “Here he is… so potent is his weird appeal that a clamoring public demands this picture for a 3rd Request Week”. Exhibitors would run similar campaigns across America and around the world. 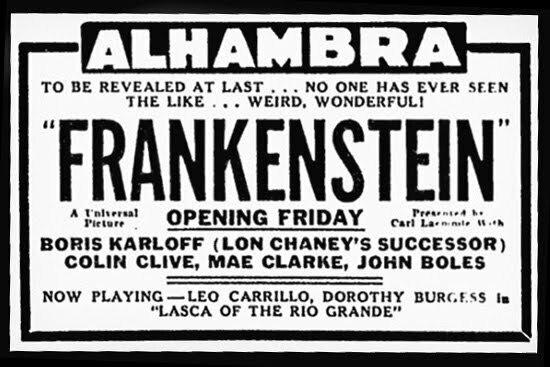 In an era when films were typically sold on booming ballyhoo and extravagant claims, Frankenstein stood apart, delivering on every promised chill and thrill. Frankenstein opened with a bang that still resonates today. What history. I've not seen these ads before, wonderful stuff. 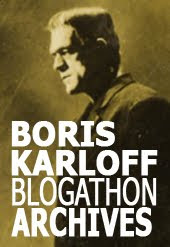 Thank you for this amazing Frankensteinia blog Pierre.